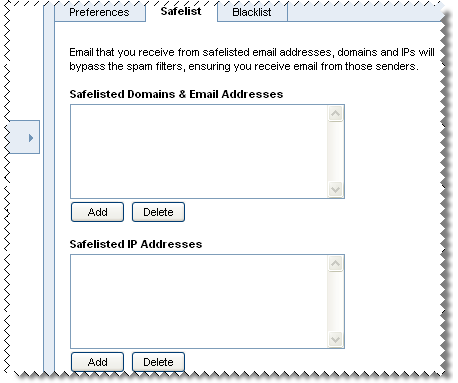 How can I configure white lists (safelist) and black lists in Pulse Commerce webmail? Pulse Commerce advanced email system has several settings regarding white lists (safelist) and black list. 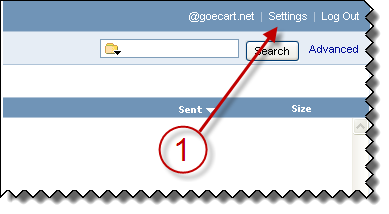 Log into your webmail and click on the Settings button. 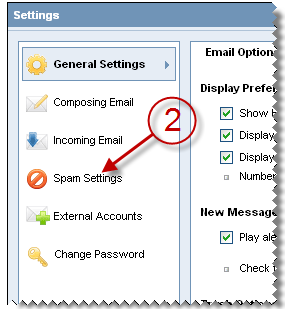 Click on the Spam Settings button. Safelisted Domains & Email Addresses — To add domains and email addresses to your Safelist, click the Add button. Enter the domain or email address, and click the Add button. Safelisted IP Addresses — To add IP addresses to your Safelist, click the Add button. Enter the IP address, and click the Add button. To delete any entry, select the domain, email address, or IP address, and click the Delete button. Blacklisted Domains & Email Addresses — To add domains and email addresses to your Blacklist, click the Add button. Enter the domain or email address, and click the Add button. 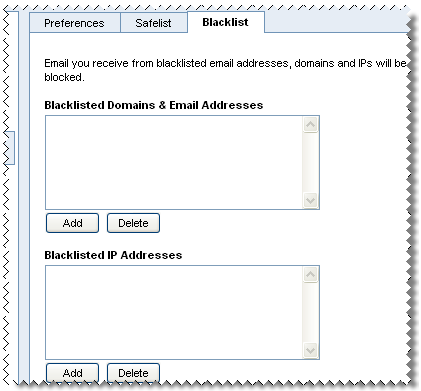 Blacklisted IP Addresses — To add IP addresses to your Blacklist, click the Add button. Enter the IP address, and click the Add button. Important: After making any changes in the settings window, always hit the Save button.